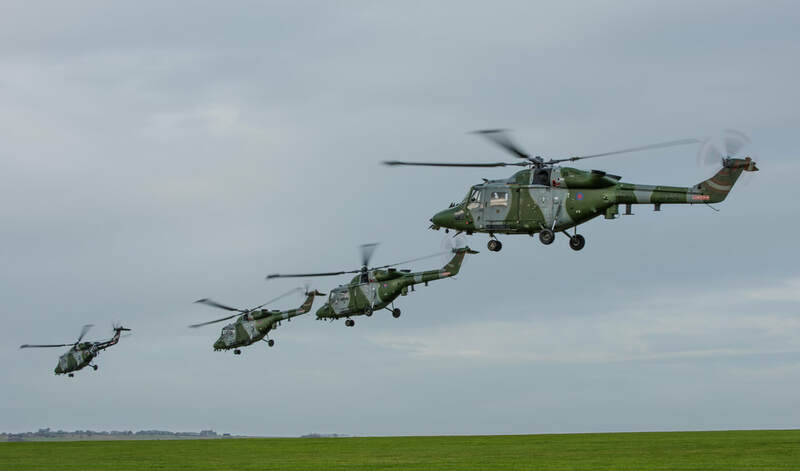 ​In July 2015 the AAC retired its last remaining Lynx AH.7s followed by the FAA, who’s Maritime variants were decommissioned in March 2017, leaving one squadron of Lynx AH.9As in service with No 657 AAC, based at RAF Odiham in Hampshire. 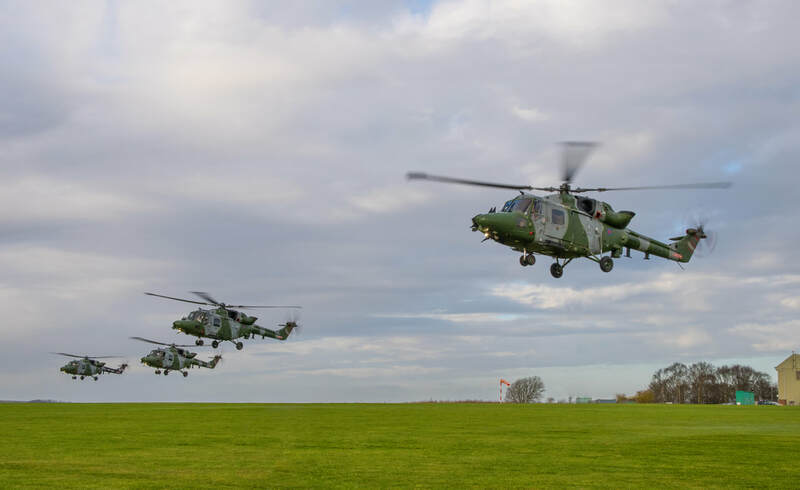 ​To mark the retirement of the Lynx AH.9A a farewell flypast was arranged for four remaining airworthy helicopters which took place on 16 January 2018. 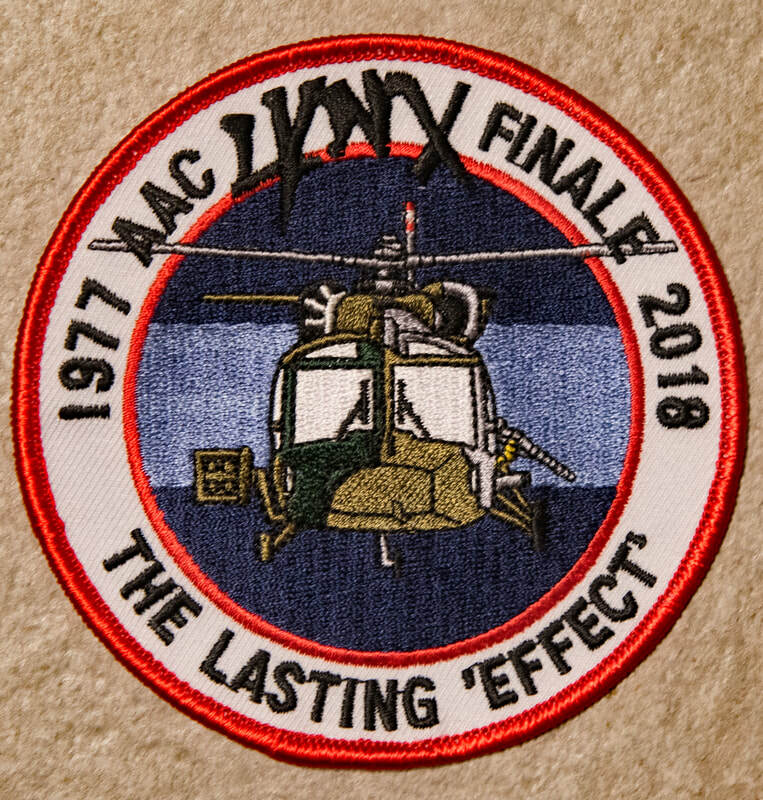 One of the helicopters, ZG917, was especially painted for the day with special art work that commemorated 75 years of No 657 Squadron as well as a very striking depiction of a Lynx. The other three AH.9As in the Formation were ZF537, ZF538 & ZG918. As part of the farewell tour a photo-call was held at Upavon in Wiltshire, where the four AH.9As of Valhalla Formation can be seen in the accompanying images. Valhalla Formation arrives at Upavon at the start of the photo-call. Departure of the formation as they continue their tour with the next destination Wareham in Dorset.